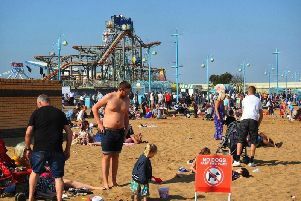 A leading councillor says Skegness needs investment like the proposed Premier Inn hotelon Pier Field if the town is to prosper. Coun Steve O’ Dare is a member of East Lindsey District Council Executive Board that was set to consider the sale of the site last week. The future of Pier Field will now be resolved by full council on February 25 following the submission of a 5,000-plus petition calling for the site to be listed as a community asset. Councillors will decide whether to designate the site as a community asset or to sell it to KCS developments to build an 80-bedroom Premier Inn and KFC restaurant.